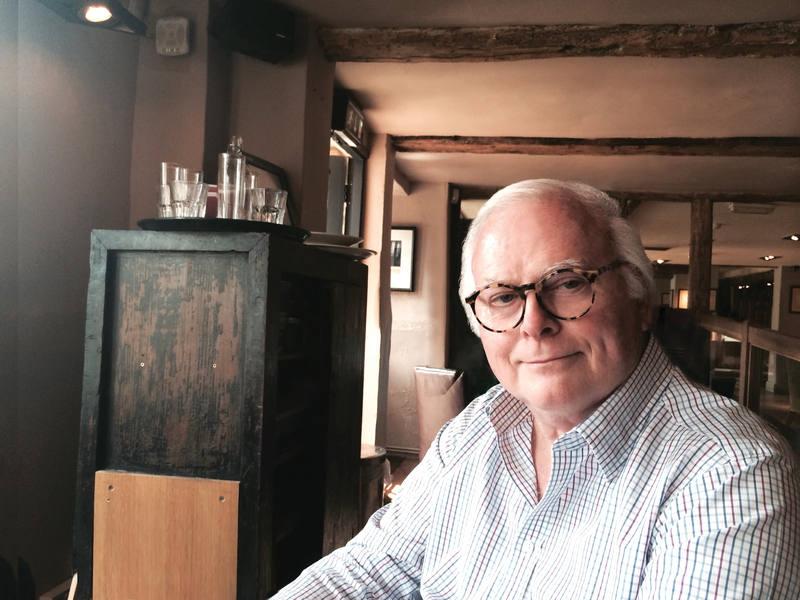 Stuart Woods was born in the small Southern town of Manchester, Georgia, and attended the local public schools, then graduated from the University of Georgia with a BA in sociology. He doesn’t remember why. After college, he spent a year in Atlanta and two months in basic training for what he calls “the draft-dodger program” of the Air National Guard. Then, in the autumn of 1960, he moved to New York in search of a writing job. The magazines and newspapers weren’t hiring, so he got a job in a training program at an advertising agency, earning seventy dollars a week. “It is a measure of my value to the company,” he says, “that my secretary was earning eighty dollars a week.” He spent the whole of the 1960s in New York, with the exception of ten months, which he spent in Mannheim, Germany, at the request of John F. Kennedy. The Soviets had built the Berlin Wall, and Woods, along with a lot of other National Guardsmen, was sent to Germany “to do God knows what,” as he puts it. What he did, he says, was “fly a two-and-a-half-ton truck up and down the autobahn.” He notes that the truck was all he ever flew in the Air Force. After a couple of years of this his grandfather died, leaving him “just enough money to get into debt for a boat,” and he decided to compete in the 1976 Observer Single-handed Trans-Atlantic Race (OSTAR). Since his previous sailing experience consisted of “racing a ten-foot plywood dinghy on Sunday afternoons against small children, losing regularly,” he spent eighteen months learning more about sailing and celestial navigation while his new 30-foot yacht, a Ron Holland design called Golden Harp, was being built at a yard in Cork. He moved to a nearby gamekeeper’s cottage on a big estate on the Owenboy River, above Cork Harbor, to be near the boatyard. The race began at Plymouth, England, in June of ’76. He completed his passage to Newport, Rhode Island, in forty-five days, finishing in the middle of the fleet, which was not bad since his boat was one of the smallest. How did he manage being entirely alone for six weeks at sea? “The company was good,” he says. The next couple of years were spent in Georgia, writing two nonfiction books: Blue Water, Green Skipper, an account of his Irish experience and the transatlantic race, and A Romantic’s Guide to the Country Inns of Britain and Ireland, a travel book, done on a whim. He also did some more sailing. In August 1979 he competed on a friend’s yacht in the tragic Fastnet Race of 1979, which was struck by a huge storm. Fifteen competitors and four observers lost their lives, but Stuart and his host crew finished in good order, with little damage. (The story of the ’79 Fastnet Race is told in the book Fastnet, Force 10, written by a fellow crewmember of Stuart’s, John Rousmaniere.) That October and November, he spent skippering his friend’s yacht back across the Atlantic with a crew of six, calling at the Azores, Madeira, and the Canary Islands and finishing at Antigua, in the Caribbean. In the meantime, the British publisher of Blue Water, Green Skipper had sold the American rights to W.W. Norton, a New York publishing house, which also contracted to publish his novel, on the basis of two hundred pages and an outline, for an advance of $7,500. “I was out of excuses to not finish it, and I had taken their money, so I finally had to get to work.” He finished the book and it was published in March 1981, eight years after he had begun it. The novel was called Chiefs. Though only twenty thousand copies were printed in hardback, the book achieved a large paperback sale and was made into a six-hour television drama for CBS-TV, starring Charlton Heston, at the head of an all-star cast that included Danny Glover, Billy Dee Williams, and John Goodman. For the twenty-fifth anniversary of Chiefs in March 2006, W.W. Norton published a special commemorative replica edition of the hardcover first edition. Chiefs established Woods as a novelist. The book won the Edgar Allan Poe prize from the Mystery Writers of America, and he was later nominated again for Palindrome. He has also been awarded France’s Grand Prix de Littérature Policière for Imperfect Strangers. He has since been prolific, having published more than sixty novels. After publishing fifteen novels before appearing on the New York Times best seller list, he has since had more than fifty best sellers. He is a licensed, instrument-rated private pilot, with 3,400 hours total time, and he currently flies a Citation M-2. His wife, Jeanmarie, who has recently earned her private pilot, instrument, and multi-engine ratings, will train for the copilot’s seat in the new jet. Stuart sails on other people’s boats, owns a Hinckley T38 power boat (hinckleyyachts.com), and is a partner in an 85-foot 1935 Trumpy motor yacht, Enticer (which can be seen at www.woodenyachts.com and on the cover of Loitering with Intent). The yacht has been recently restored to like-new condition.